The winning photo entry for the month of January in the geosites calendar is taken on the island of Fetlar in north-east Shetland, an area of fascinating geology and rich archaeological heritage dating back to prehistoric times. 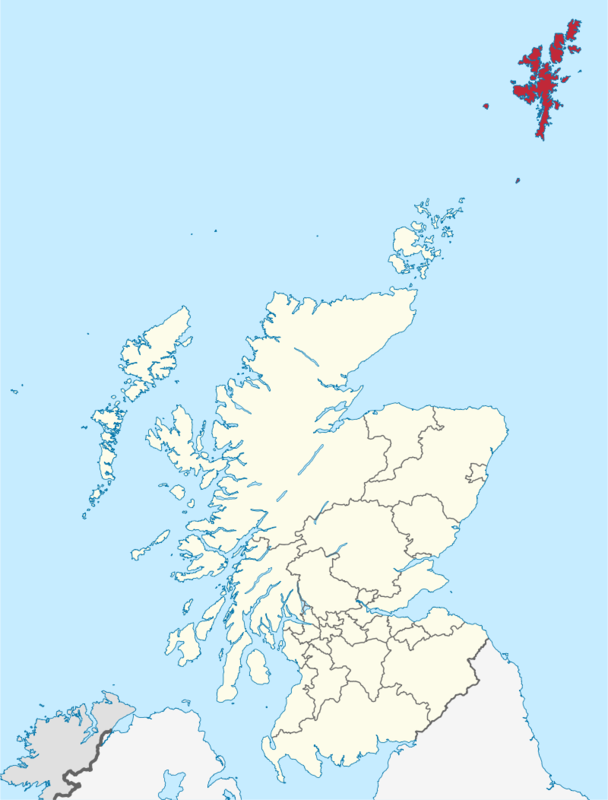 The Shetland islands are the furthest of the islands from mainland Scotland and they sit at the same latitude as Bergen in Norway. Fetlar is in the north-east group of islands and is thought to have been inhabited for at least 5,000 years. The name ‘Fetlar’ means ‘the island of the fat land’ in old Norse because of its rich grazings and fertile soils that were a prime attraction to settlers long before the Vikings colonised it 1200 years ago. was put together about 400 million years ago during the Caledonian Orogeny, where the ancient Iapetus Ocean was subducted and tectonic forces drove together three ancient continents to form the supercontinent Pangaea. 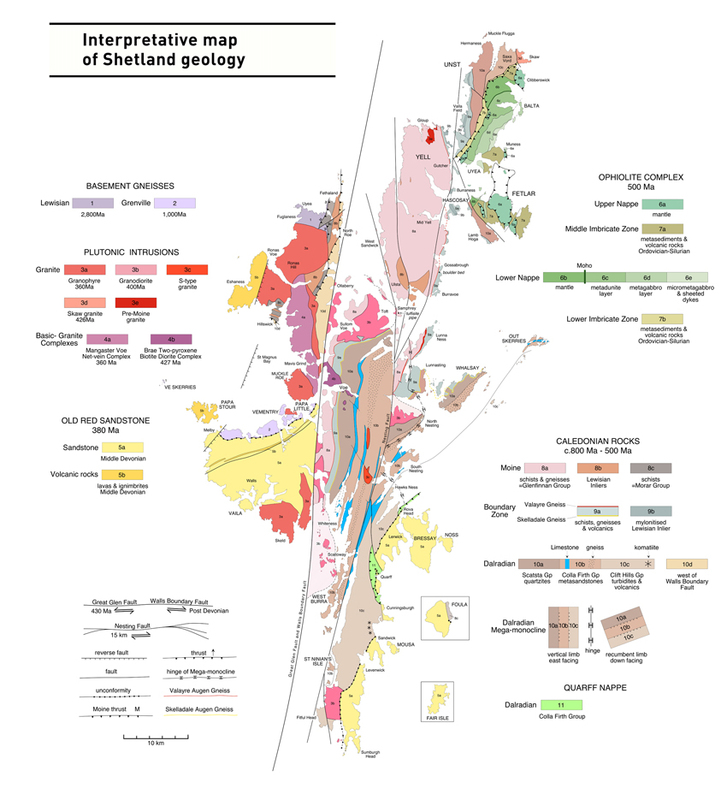 Fetlar itself is made up of strips of continental and oceanic crust that were emplaced by strong tectonic forces, the same forces that left the pebbles and cobbles in the conglomerate at Funzie geosite stretched, squeezed and squished into rods! 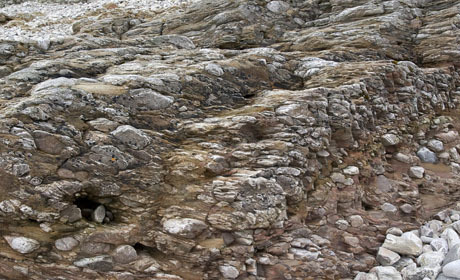 But aside from the fascinating outcrops and geological history, the island also has a strong prehistoric heritage left behind in old rock formations, stone circles and plenty of old folktales surrounding the island trows! Now what are trows I hear you ask…. Well, trow is the Shetlandic word for troll. They are known as malignant or mischievous fairies or spirits in the folkloric traditions of Orkney and Shetland. Often depicted as short, ugly and shy they venture out of their Trowie knowes (a GREAT name for their earthen mound dwellings) and cause mischief! They have a strong fondness for music, dancing and kidnapping local musicians! They are particularly active at Yule time where local custom says that children on the islands had to be blessed to protect them from trows for the coming year. However, the trows are said to repay human kindness many times over and remain forever grateful to people who help them, granting good luck to the humans for many years. 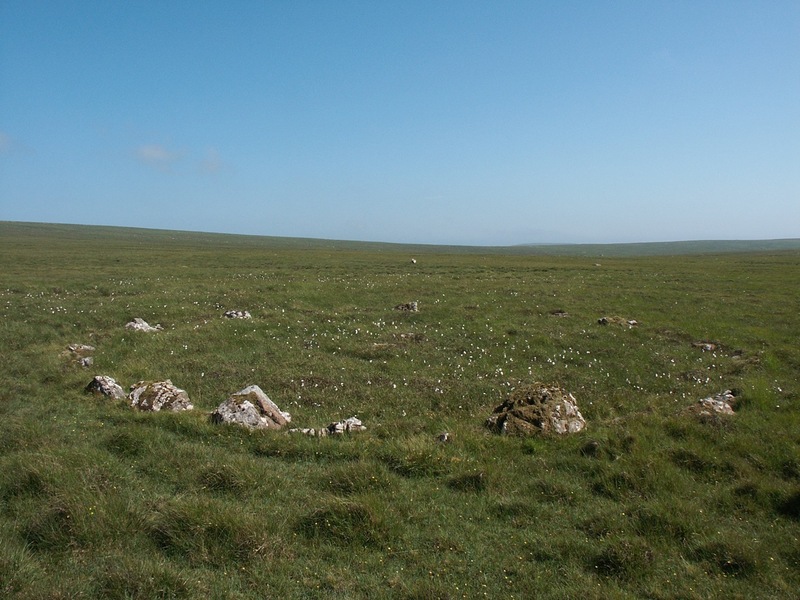 Hjaltadans Stone Circle, Fetlar. ©Maurice Henderson, Flickr. Their presence is woven into many folk tales about sites on Fetlar. One of these is the Hjaltadans stone circle that is found on the island. ‘Hjaltadans’ means ‘limping dance’ and is so-called because of a local folklore story. The story goes that one night, a local fiddler and his wide were dancing at night with the trows. They were playing and dancing and enjoying themselves so much that they didn’t even notice they’d danced all night and the sun was coming up. As dawn approached they were all petrified in place, so turning the trows into a circle of stones, and the two stones in the centre became the petrified versions of the fiddler and his wife! Other stories of the trows meddling with prehistory is that of the Funzie Girt, an ancient dividing wall that was erected from north to south across the island, thought to be built in Neolithic times. We don’t know the exact reason the wall was built, possibly in order to divide two competing tribes. Local folklore suggests the pesky trows might be responsible again, this is because of a large rock known as ‘the Haljer o’ Fivlagord’ which lives very near the south end of the dyke. 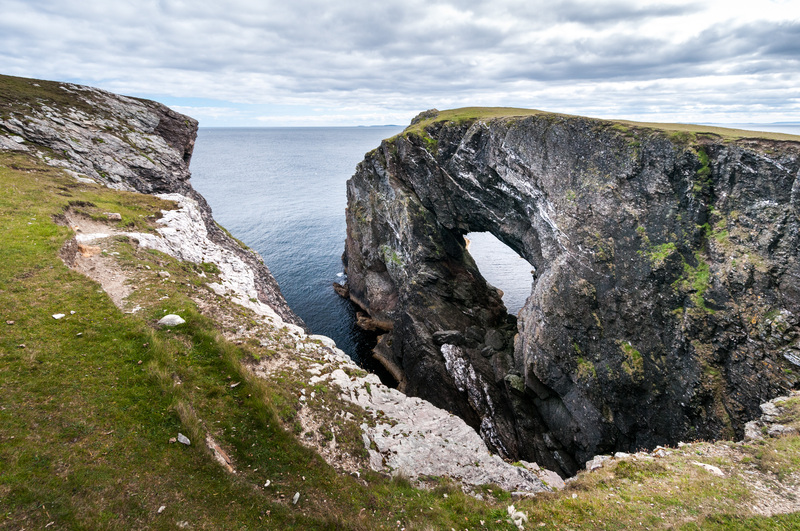 The word ‘Fivl’ means troll, or trow in Shetlandic which suggests locals once believed the dyke was constructed by these mythical creatures, there is even a story that suggests it was constructed by the trows in exchange for a cow from a local farmer!